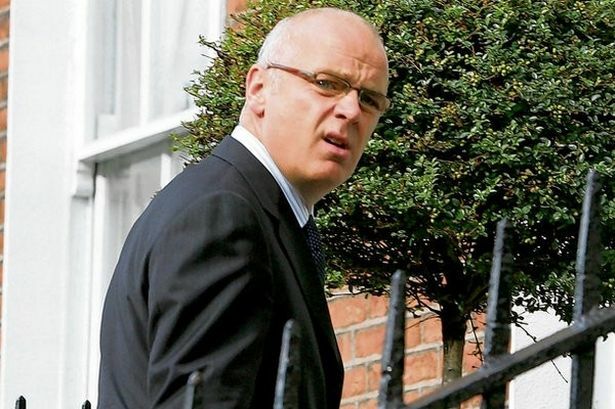 Runaway banker David Drumm could face years in a US jail unless he agrees to be extradited back to Ireland, it emerged today. The former Anglo chief has also been saddled with debts of over €10million after his appeal against a decision denying him bankruptcy in the US was kicked out of court. The damning ruling could also scupper his chances of getting bail as the judge stated that he set out to defraud and mislead the bankruptcy hearing about his tangled finances. The judge also found that Mr Drumm’s failure to disclose the transfer of a mortgage of €250,000 on a property at Skerries Rock in Dublin from his name to that of his wife amounted to “misdirection and dishonesty”. Mr Drumm is facing extradition to Ireland to face 33 charges relating to transactions while he was the chief executive of Anglo Irish Bank. He is being held in custody pending a full hearing of the extradition case which is due to take place next February. But the former banker’s lawyers maintain it might take years for the case to be resolved and have pleaded for him to be released on bail claiming he is not a flight risk even though he left Ireland and refused to return. The damning ruling from District Court Judge Leo T Sorokin that the original bankruptcy findings relating to Mr Drumm’s “intentional and fraudulent” failure to list to property transfer to his wife were correct could well hamper his bid to get bail. The 48-year old moved to Massachusetts in 2009, six months after resigning his post at the doomed bank which cost the Irish taxpayer over €30billion. Mr Drumm fought a four-year legal battle in Boston to write off his own debts of €10.5 million but a US bankruptcy court rejected his claims in January, ruling the ex-banker was “not remotely credible”. During the proceedings, the Irish Bank Resolution Corporation – formerly Anglo Irish Bank – fought his claims for bankruptcy, as he owed it €9million. Mr Drumm had appealed the rejection of his bankruptcy application blaming the advice he had received from lawyers and accountants. Throwing out his appeal Judge Sorokin said Mr Drumm’s failure to disclose the transfer of a mortgage of €250,000 on the house in Skerries, Co Dublin from his name to that of his wife amounted to “misdirection and dishonesty”. The judge added that there was no evidence that “even comes close” to suggesting that the former banker did not understand he had to make full disclosure of all asset transfers.